Commissioned for Pemulwuy Festival 2014, this song is a description of the stars and universe. The underlying message is that each individual person is unique. 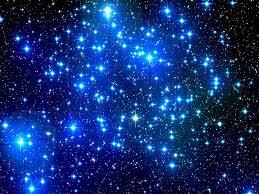 We are like stars in ourselves that are part of a greater constellation. SSA & Piano (key of C major) for Advanced Primary to Secondary School students. Performances: A Thousand Stars was commissioned by Brisbane Grammar School Chamber Choir and performed at the 2014 Pemulwuy Male Voice Festival & Ithaca Creek State School 2014 Primary School Graduation Ceremony. We are united as one! Then we will shine like the sun, if we believe.